Beauty aside, this blog was suppose to be helpful to those of us who have touched the dark side and are surviving. If I were to be honest, as the blog started growing, I got embarrassed discussing my past, present and everything in between because now people had seen my face, they related it to someone and it was all too much. So it takes courage talking and discussing this again, so I do ask for some acceptance. So to add relevance to the image in this post, I literally just found this on Tumblr. As soon as I saw it, I saved it to my desktop knowing one day I will address the words in this image, talk about the realities and explore my case as an anecdote. A. Don’t be a jerk – Mocking about someone’s issues is NOT funny. Even if they’re sarcastic or dry humored themselves, it’s only because they’ve just never seen the light in the situation. If you’re trying to help, try to change their negativity to positive affirmations. B. Show that you care – When someone confides in you with their deep rooted depression, chances are they know, they’re closer to the edge of taking a wrong step. So hear them out, make it easier by being there no matter what. 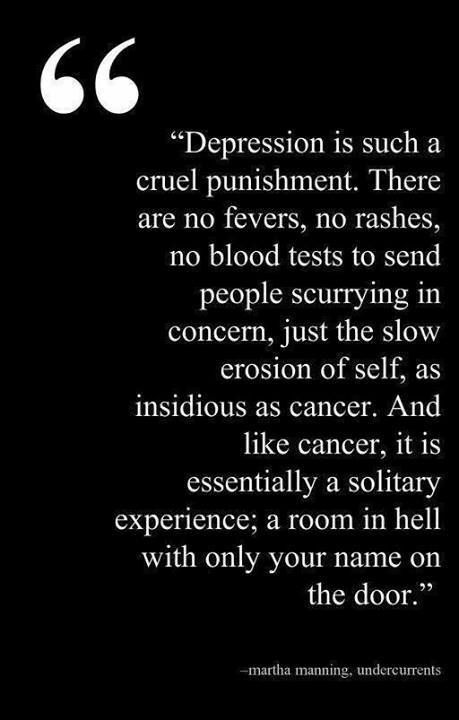 I can vouch for this personally, those who suffer from depression hate attention, do not appreciate pity, we appreciate the truth, we appreciate people who see the light and accept us with our ‘issues’. Most likely, we’ve grown up with an insidious sensation of ‘not being enough’ or ‘why can’t I be more like her/him?’. Don’t judge, be yourself and let them be themselves. That is literally all you need to do to make a difference in someone’s life. Thank you for shining a light and helping those suffering from mental illness. No one should have to feel alone, or suffer in silence.